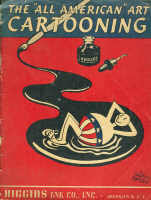 Harriet "Petey" Weaver published a book titled Cartooning Plus Good Drawing in 1939. 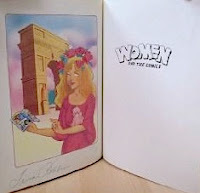 She must also be the same person who was at the time the first woman ranger in the California Division of Parks. 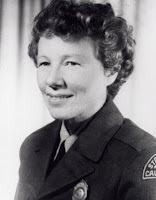 She authored a book about the parks, THEM WERE THE DAYS Early Days at Big Basin, Richardson Grove, Seacliff Beach & Big Sur by Harriett "Petey" Weaver, CSPRA's Honorary Ranger 1971. There is a film, FIRELIGHT SONG, being developed about her. Here is a cartoon by Harriet "Petey" Weaver of the Park Service which shows a view of the Big Basin Redwood Park in California which seems to prove by its style that they are one and the same. Weaver, Harriett E. ["Petey"]. 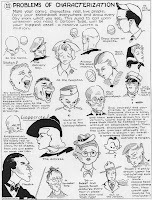 Cartooning Sports. Worcester, MA: Davis Press, 1949. A drawing by Johann Daniel Preissler is up for auction at Ketterer-Kunst. 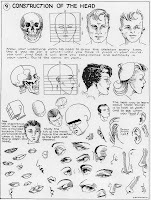 Another post: How to Draw People - Johann Daniel Preissler. 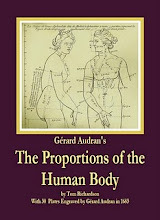 The same auctioneer recently sold a copy of Die durch Theorie erfundene Practic. Bill Buchman will be giving a one day workshop in Pasadena on the 18th of October at the Learning and Product Expo http://www.learningproductexpo.com/pas/splash.html at the Pasadena Conference Center with a beautiful model. Bill Buchman sent me a copy of the DVD that he made. 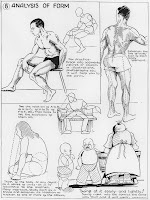 He demonstrates a variety of techniques for drawing the figure. 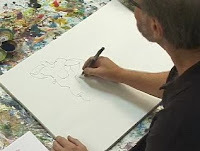 He shows how to approach drawings from line, forms, curves, outlines, negative space and includes the use of many media. 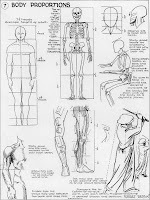 He does this by showing a model in a pose, then shows how he draws the model using each of the techniques. 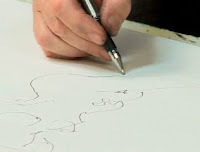 The camera looks over his shoulder as he draws and shows occasional closeups. He has done a lot of drawing and thought about it and he brings all his experience to the DVD. He is currently working on a book. 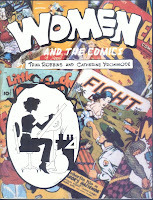 What you will get out of looking at this DVD is not only an understanding of different approaches to figure drawing but more importantly he demonstrates that drawing the figure is great fun. 1. Quick Stick FIgure Conte. 2. Quick Stick Figure Ink. 7. Flowing Side Stokes with Overlapping Contours. 12. Simple Abstract Shapes, Semi-reclining Poses. 19. Thin Lines, Thick Lines. 20. Thick Brush Line, Big Shapes. 24. One Warm, One Cool Color. 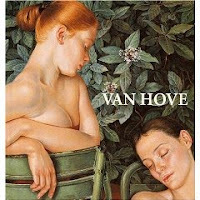 There is a rare book by Francine van Hove for sale on Ebay. 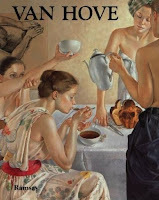 A 2002 book at Amazon.com Francine Van Hove . 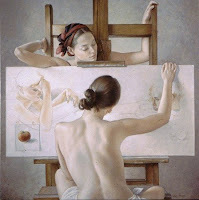 Les nus de Francine VAN HOVE. Another blog post at FemmeFemmeFemme, Archive pour la Catégorie Francine Van Hove 1942-.